If you’re searching for Natick MA real estate or are planning to sell your home in the area, you have come to the right place. I am Teri Adler, a top real estate agent serving Natick MA. As one of the more respected and trusted real estate professionals in Natick, I attribute my success to having in-depth market knowledge, a deep understanding of the local community, being an honest sales agent and tough negotiator for my clients. I've been fortunate enough to work with a wide-range of clients that include first time homebuyers, business executives, local celebrities, builders, and more. Finding great Natick MA real estate can be stressful and at times feel overwhelming. My job is to make the process as simple and enjoyable as possible. This is an exciting time and I am there to help every step of the way. It’s important to have an informed, supportive, and skilled real estate agent guiding you through each part of the process, and when working with me you will know that every detail will be covered. At Pinnacle Residential Properties we are a full service real estate firm and will be there for you every step of the way, guiding you and providing you with all the resources you need as you begin this exciting new chapter. If you're interested in learning more about the beautiful town of Natick and seeing some of the Natick real estate that may be a perfect fit for you, feel free to contact me or call me directly at (617) 306-3642. Great new homes are hitting the Natick real estate market every day, and I would love to find a home that suits your needs. 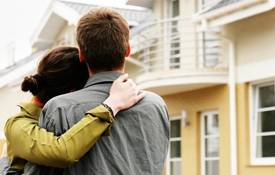 Buying a home is one of the most important investments that you will make in your life. When searching for homes for sale in Natick MA it's important to understand that you are also investing in the town of Natick MA and the local community. There are a variety of aspects about the community that are going to be important to you and your family whether you are moving from out of state or from a surrounding town. I am here to answer all of the questions you may have about homes for sale in Natick MA, the Natick school system, local organizations, average property selling prices and much more. Not only should you love the home you are buying, you should love the town you are moving to! See what my clients have to say about their experiences with me. Are you ready to learn more about finding a home or property in Natick? Allow my team and I at Pinnacle Residential Properties help you as you begin the process of finding a home. At Pinnacle we are a full service Natick MA real estate company, and we will be there for you throughout each step of the process, guiding you and providing you with all the resources you need as you begin this exciting new chapter. If you have any questions or would like to set up property showings please get in touch, or call me directly at (617) 306-3642. View the most recent listings below, or view all listings in Natick. Read some of our most recent client testimonials! Sign up today to track your favorite properties, receive notifications when new listings are added, set price change alerts, receive exclusive property details, virtual tours, and more! 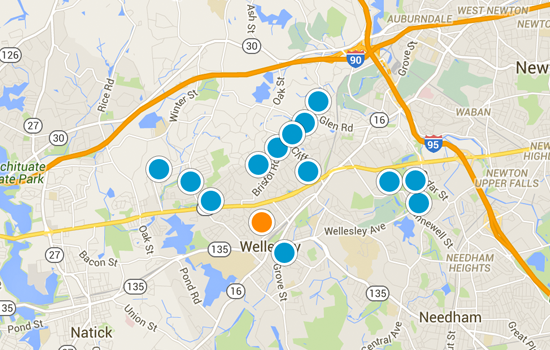 Use our interactive map to view the latest local listings! View a few of the beautiful homes featured this month at Pinnacle Residential Properties. Looking for the perfect home in the perfect location? Learn more about some of the local towns we serve below. © 2019 The Teri Adler Group. All Rights Reserved.